Are You Connecting With Shoppers On Search? | ARI Network Services Are You Connecting With Shoppers On Search? Local Market SEO Create a powerful online presence that gets you found by local shoppers. Management Drive more online and in-store business with the help of ARI’s pay-per-click experts. Email Marketing Re-engage your loyal customers with email promotions and newsletters. Inventory Syndication Easily publish your inventory on eBay, Craigslist and more from a single platform. Are You Connecting With Shoppers On Search? Most shoppers on today’s digital path to purchase start their buying journey with a search. In fact, according to Google, 87% of shoppers research products online before visiting a store. With so much information available at the click of a mouse, shoppers have more resources than ever at their disposal as they search for the perfect product. So, how can you reach these shoppers? Implementing SEO (search engine optimization) best practices on your website – like ensuring your website is easy to navigate, having a mobile-friendly version and creating high-quality content – can boost your organic search results. It can also help you ensure your website is prominently displayed in search results. Additionally, running pay-per-click ads can help you reach more of your target shoppers on search. If your website is easy to navigate, shoppers will be able to find the products or information they need quickly and efficiently. Google looks at website statistics like click-through-rate and time on page to determine how user-friendly your site is, and this data can impact where your site lands on search engine results pages. Having a complicated website structure can also make it difficult for Google’s crawlers to index your site. Keep your navigation simple and logical to make it easy for your shoppers – and Google’s bots – to find everything they need. 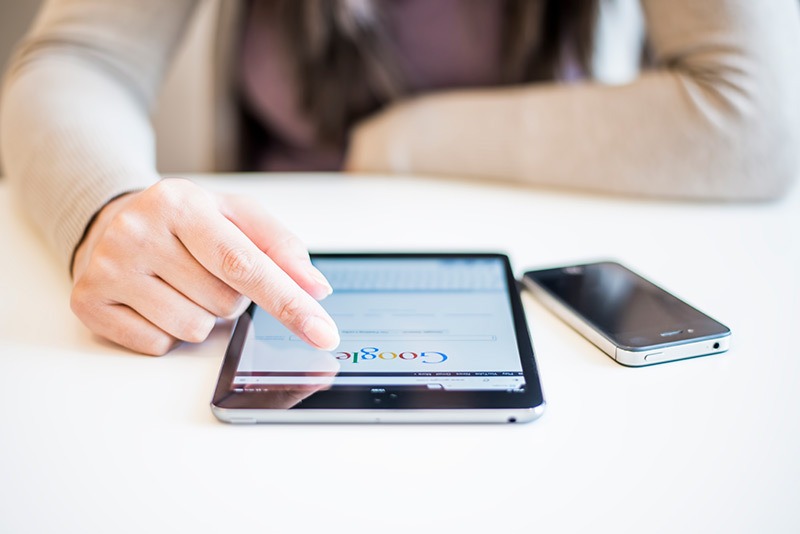 Last year, Google began using mobile-friendliness as a ranking signal for mobile searches. This means that websites with a mobile-friendly version, like all ARI websites, now rank higher than those without for searches on smartphones, tablets and other mobile devices. Not sure if your website is mobile-friendly? Take Google’s Mobile-Friendly Test. Creating high-quality content is another easy way to improve your SEO and rank higher in relevant search results. Keywords like your location and the brands you carry fit naturally on your “About Us” page and throughout your website. Using these keywords strategically will help your page show up when shoppers are searching for inventory you carry or dealers in your area. Avoid “stuffing” keywords into your text where they don’t fit naturally – it’s a black hat tactic that can actually do more harm than good. Running pay-per-click (PPC) ads is a good complement to your SEO strategy. PPC ads are displayed on a search results page above and to the side of the search results. You can run PPC ad campaigns through Google AdWords, Bing Ads and Yahoo Gemini. These search engine ads can be targeted to specific keywords, so you can customize them to reach shoppers who are searching for particular products you sell. In Google AdWords, you can also add extensions to your ad to display your location and contact information, link to relevant areas of your site, add additional text to your ad and more to make the most impact possible and help your ad stand out. Connecting with shoppers during the search phase of their digital path to purchase will keep your dealership top-of-mind as they find the product they want and start looking for a dealer to buy it from. Want to learn more about the digital path to purchase? View our infographic.